January | 2012 | God's Abundant Blessings! Our pastor preached a challenging and encouraging message this Sunday on a topic I struggle with way too frequently – Worrying. He looked at Matthew 6:25-34, where Jesus talks about God’s taking care of the birds’ needs and clothing the lilies in splendor. 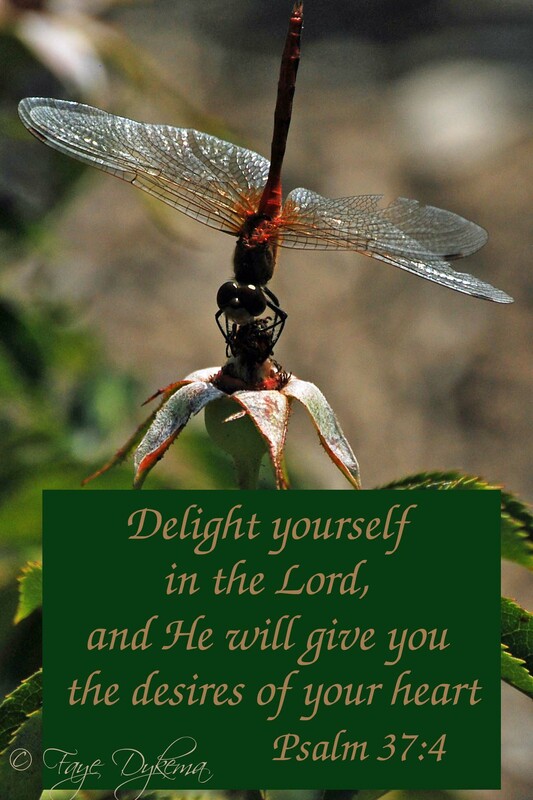 Jesus reminds us that if He cares for such tiny creatures and flowers that others don’t even see, how much more will He care for His creation that He gave souls to, sent His Son to die for, and filled us with His Holy Spirit. Jesus also reminds us that each day has enough worry for itself, so don’t leap ahead and worry about the future. Jesus knows that each day has concerns and pressures. He wants us to live in trust that He has everything in control. 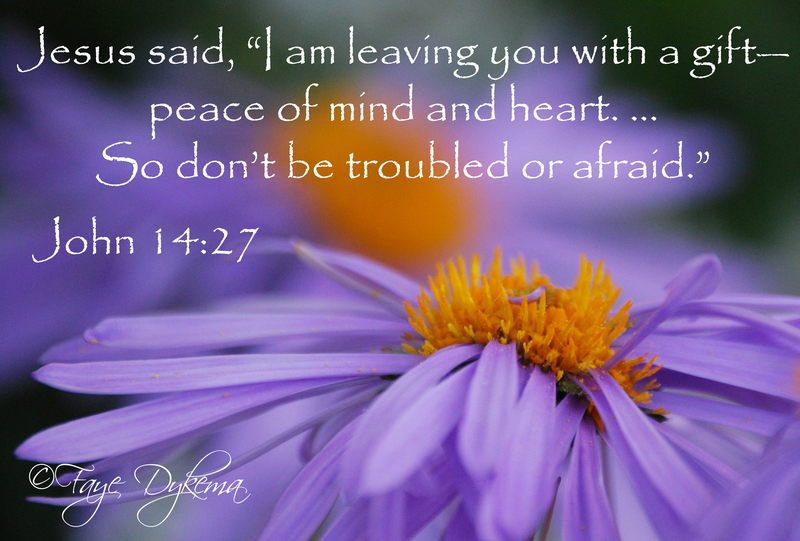 We need to trust Him and be filled with His peace. His peace isn’t like anything the world has — It is so much deeper. He fills us to overflowing with the inner beauty and calm of peace that only comes from the Holy Spirit. coming up with things to write for God’s Abundant Blessings blog (ironic, I know). Trusting and letting go isn’t easy for this Type A person. I sometimes think that’s why God allowed me to have the chronic illnesses. They have given me a huge slow-me-down, and I’ve needed to continually trust in Him for my strength so many days and in so many ways. Roger lost his battle with cancer here on earth, but I’m sure He’s celebrating greatly in heaven. And he’d likely be the first one to tell us – Don’t Be Afraid of the dark valleys, where Satan comes and tempts us to despair and worry. Trust God, and boldly face your future. Dwell in God’s providential love and grace. Many years ago I went on a service trip with our church youth group to Neon, Kentucky. My RA had been diagnosed the previous year and meds were keeping things relatively under control. However, if I did anything strenuous my body paid for it the next day. One of our side activities was a 3/4 mile hike to Bad Branch Waterfall. I wanted to go because I love waterfalls. I enjoy being with the teens so much. So, even though I knew I would pay for it, I went. My heart melted in gratitude. I can’t tell you how much encouragement can motivate someone, but I can tell you, that day the love, support, and kindness I felt from these precious young people encouraged me to go forward, keep trying to get to the destination, and not give up. At that moment nothing felt better than standing under the cold waterfall. 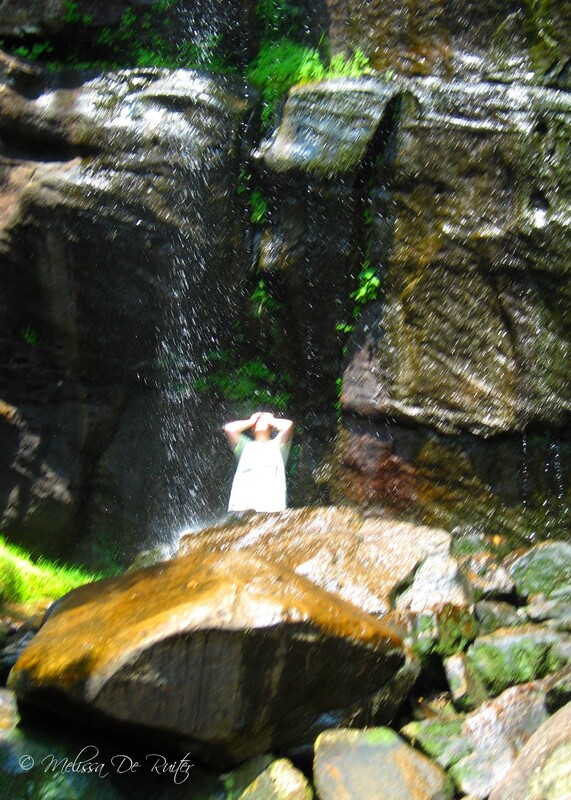 The water cascading to cool my sweaty body. But even more was my gratitude to God for the ability to make it to the waterfall and the loving kindness He blessed me with in “my team” of encouragers. We all are blessed with encouragers in life. Some are obvious, often parents, spouses, and friends. Some we have to look at little more closely to see. 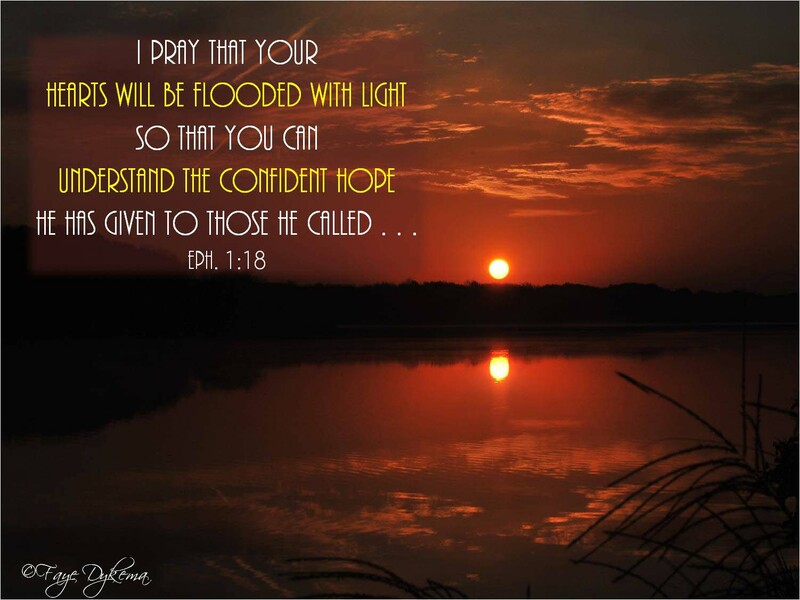 Paul tells us we have the best encourager of all – God. So we praise God for the glorious grace He has poured out on us who belong to His dear Son. 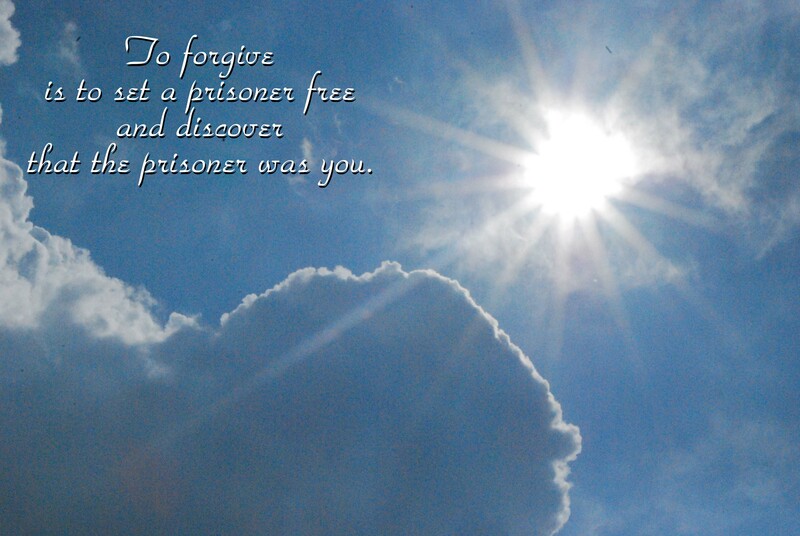 He is so rich in kindness and grace that He purchased our freedom with the blood of His Son and forgave our sins. He has showered His kindness on us, along with all wisdom and understanding. God showers us with His grace and kindness. He fills us with all wisdom and understanding. Through His love He encourages to press on in life and through the difficulties. 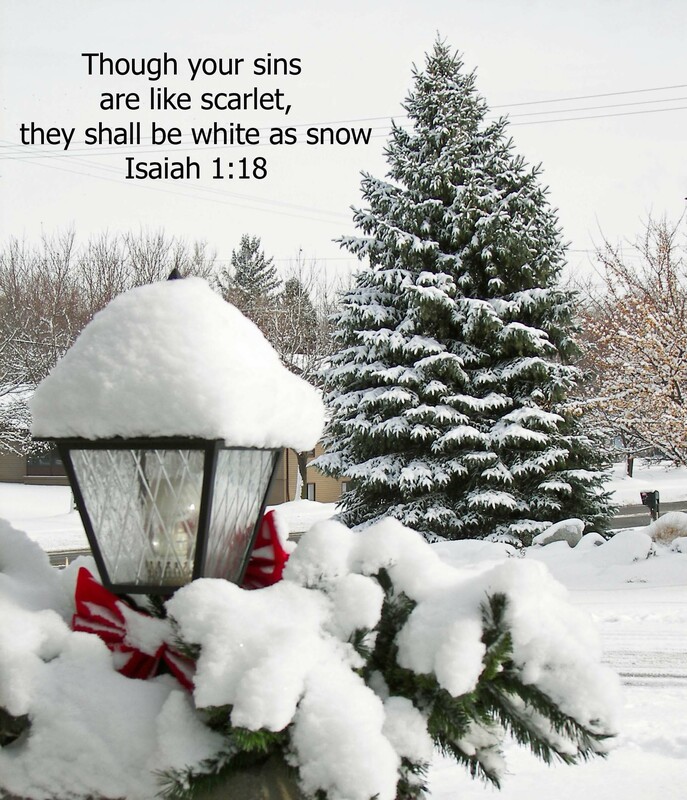 Through the gift of His Son, He showers us with His abundant mercy and grace. I’m starting a 12-week Bible study on Ephesians today along with thousands of other women associated with Good Morning Girls so I’m thinking there will be a few posts about Ephesians in the coming days. Today we looked at Chapter 1:1-4. What a precious letter from Paul. He knows he is chosen directly by God to do God’s work of telling others of the unconditional and amazing love of Jesus Christ. You likely remember the Saul/Paul life-changing transformation at Damascus when God struck Saul, the persecutor of Christians, and over time, changed his heart to Paul, the lover of God. Paul knew he was chosen by God. 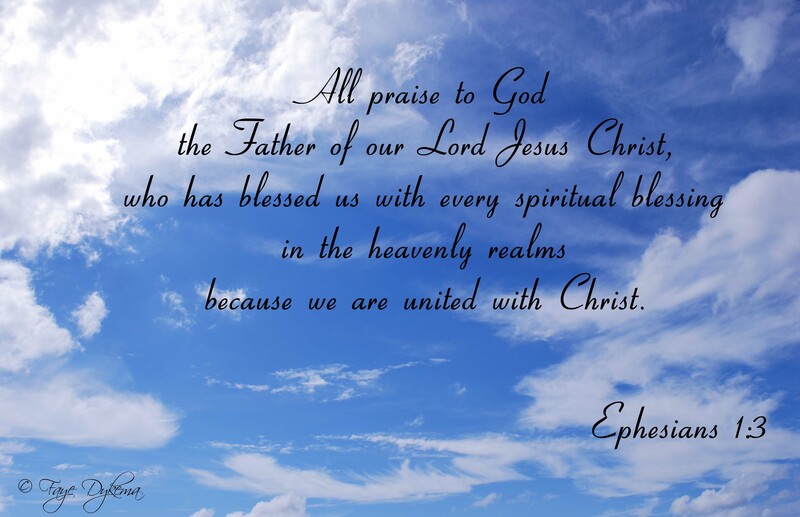 His words in Ephesians 1:3 sing praises to God. First, because He is the Father of our LORD Jesus Christ. 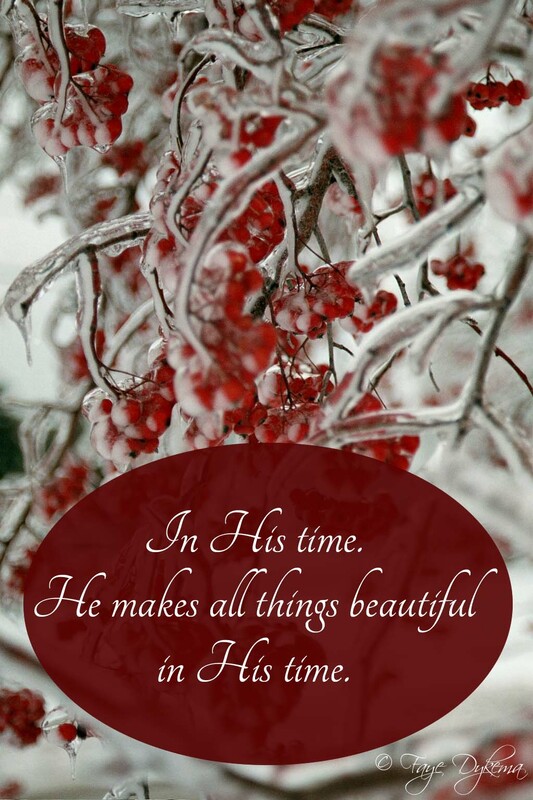 Second, because He has blessed us with every spiritual blessing in the heavenly realms. We are chosen for salvation, adopted as His children, cleansed and forgiven, filled with the Holy Spirit who counsels and guides us in God’s will, and gives us the assurance of the fulfillment of the promise of eternal life with Christ. There are days when we get down. Life hands us one difficulty after another. One person faces cancer, then medications cause difficult side effects and radiation needs to begin. Someone is unemployed and the temp job is calling others to work and not them. Another is dealing with her parent’s health, their own health issues, preparing for a wedding, while adjusting to financial stressors. Sometimes it’s just the bad cold that hits when you need all your physical and mental abilities to get through the day. It’s at those times that God can often seem very far away. What really struck me from verse four was that God loved us and chose us before He made the world. In my systematical thinking, that just doesn’t seem possible. It seems He would have made the universe, stepping through the days of creation and on day six He would start thinking of man, and knowing him. But He had a beautiful masterpiece all planned from the beginning that He alone could see how it all interweaved together. I know Psalm 139 tells us He knew us before we were formed. But I was really blessed with the thought that even before He created anything else in this universe, He loved and chose us in Christ to be holy and without fault in His eyes. if I could look through Your eyes. I’d know Your love never changes, if I could look through Your eyes. if I saw my value to You. I want to give up tryin’ to earn the love You’re offering for free – I want to see what You see. Lord, help me look through Your eyes. I really appreciate Jeremiah 29:11 and even verses 12 & 13. 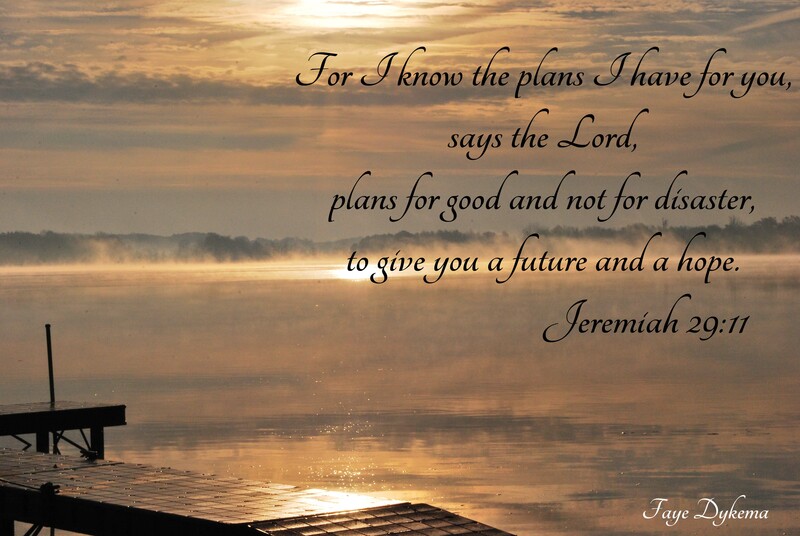 These are GREAT words of assurance – knowing God has plans for us. But if these verses are read in context, this is from a letter from Jeremiah the prophet, to the people who were going to live in exile for 70 years! I’m sure there were days they wondered if God had forgotten His chosen people. I’m sure there were days they wondered if God really knew what plans He had in store for His people. To know that God intentionally exiled His people and told them to multiply, plan to live there and be productive and after 70 years He would come and do all the good that He had promised. God warned the people to stay away from the evils of the land. I’m grateful God is in control of my life. I’m grateful He has a plan for my life. As you read verses 12 and 13 it becomes clear that God wants His people to draw continually closer to Him. 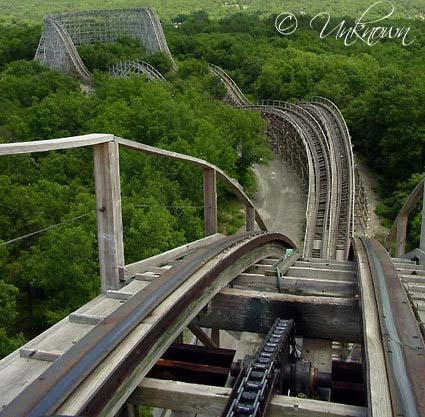 As I said in my previous post, life has been a roller coaster ride the past couple of weeks. Some of the tension was due to the fact my husband gets about 10 days vacation over the holidays, and I’m used to being home alone all day ;-). There was a day this week I was at odds with everybody, including my husband. I finally asked him to let me have some alone time / God time. I realized I needed my “exile time” from everyone else, except God. The busyness of the holidays, family get-togethers, travel, a medical procedure all created tension and didn’t allow for much individual quiet time with God. Oh I spent time talking with Him – on the run. I read His word – quickly. I just hadn’t spent time just relishing in God’s presence; being filled with God’s embracing of my heart. I know God has plans for my life – but there are times when I would really like to know God’s plans. Prior to my husband’s medical procedure, I’d like to have known the outcome (which was good). After losing a significant income source, I’d like to know God’s plan for our financial future. After dealing with relationship issues, I’d like to know how they will be resolved. But if I knew those plans ahead of time, I’d also know ahead of time that I would be living with chronic illnesses long before the symptoms appeared. Would it have helped? Maybe, but maybe it would have made me rely on what I could do instead of what God has done through me as I’ve learned my strength to handle the illnesses comes from Him. God’s timing is always perfect. He knows fully the plans He has for us, even before we were created. We are blessed He is in control of all things. 10 This is what the Lord says: “You will be in Babylon for seventy years. But then I will come and do for you all the good things I have promised, and I will bring you home again. 11 For I know the plans I have for you,” says the Lord. “They are plans for good and not for disaster, to give you a future and a hope. 12 In those days when you pray, I will listen. 13 If you look for me wholeheartedly, you will find me. David declared victory over Goliath BEFORE the battle even started. He had faith that God would be with him because he was God’s servant. (Remember, at this time David was just a lowly shepherd boy and not King.) David wanted to serve God out of the deep love for God. David faced adventures of all kinds in his life, many were running for his life while others were because of his sinful ways. Yet God was with David all the time.